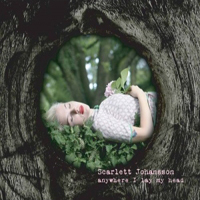 Scarlett Johansson’s first stab at a recording career is bizarre even to the point of being totally inexplicable, even for an actor-turned-singer project-after all, ten of the eleven songs on the album are Tom Waits covers, TV on the Radio’s David Sitek produces, and David Bowie ends his hiatus from music by contributing harmony vocals to two tracks-but perhaps what’s strangest of all is the fact that the album basically sounds exactly like you’d expect it to: It’s obviously a vanity project, and on most levels it simply doesn’t work, but its such a glorious misfire that it can’t help but prove compelling in places. You can probably guess where the weakest link can be found; it certainly isn’t the material, which is, of course, stellar-the album draws mostly lesser-known Waits compositions, only one of which comes from before his Swordfishtrombones re-invention, with material culled from Rain Dogs, Real Gone, Orphans, and two songs apiece from Bone Machine and Alice. Other songs don’t work nearly as well, but their baffling awkwardness might prove charming were it in service of a better vocalist. But no, Scarlett is no singer, and that’s what sinks the project beyond salvation. Simply put, the woman can’t sing at all-and not in the same way that Waits can’t sing, either. His gruffness is key to the lived-in authenticity and the sense of theatricality that pervades his work, but Johansson’s voice is so flat and lifeless, so utterly lacking in character, that she fails royally at bringing to these songs the kind of emotion that they deserve. It’s evident that she doesn’t really understand what she’s singing, and her performance does nothing to disprove the notion that she was only allowed to do this record because her movies sell so well-not because she has any musical ability at all. The only encouraging thing about the album is that it proves that, even in the hands of philistines, Waits’ songwriting is unimpeachable. As ill-conceived and poorly executed as the album is, it’s hard not to come away from it without acknowledging that Waits’ songs are brilliant and timeless, no matter who’s singing them. Their greatness isn’t diluted, even by a half-witted collaboration that fails as badly as this one does.